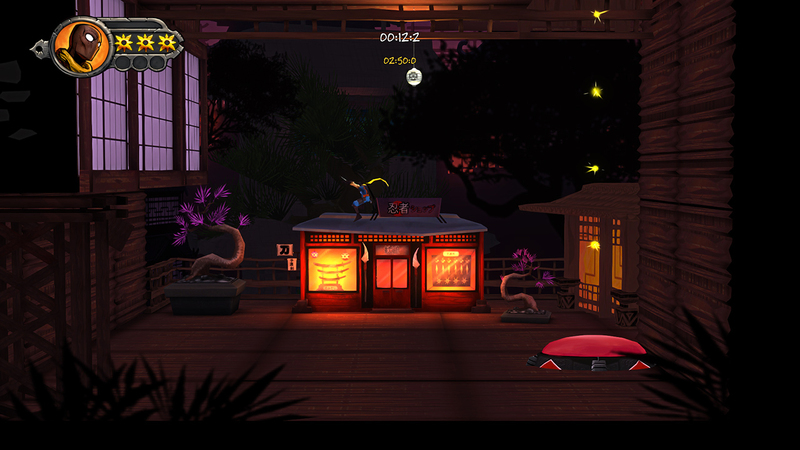 SuperPhillip Central's first review of April sees us delving into the acrobatic life of the ninja--Kuro in Shadow Blade: Reload, to be exact. Actually, to be even MORE exact, we're talking about the recently released Nintendo Switch port of Shadow Blade: Reload. Let's slash and dash our way into the review. 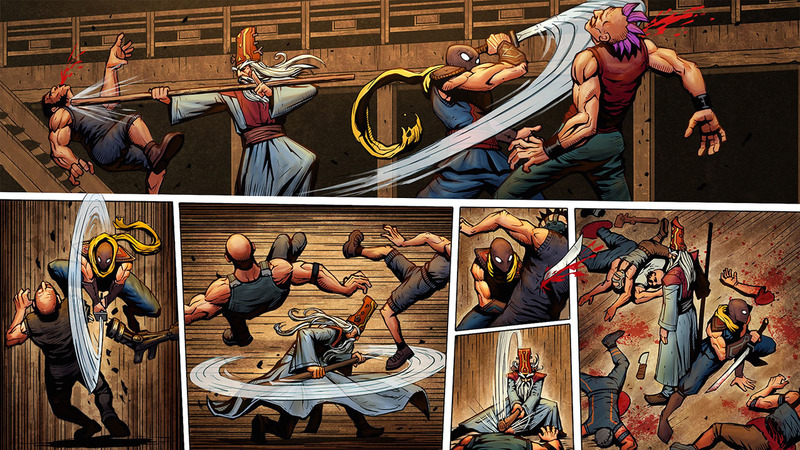 Go, ninja, go, ninja, go! Plenty of mobile games have seen ports appear on the Nintendo Switch. Some have seen a nice and smooth transition, while others are overpriced and/or unsatisfactory. Dead Mage's Shadow Blade: Reload is of the former category. While the game is by no means on the cutting edge with its gameplay, story, or structure, Shadow Blade: Reload is an engaging 2D action-platformer all the same. Moving comic book panel cutscenes such as this are numerous with Shadow Blade: Reload. Shadow Blade: Reload takes place in platforming playgrounds fit for a ninja to show off his mastery of mobility and agility, and that's exactly what the levels allow. 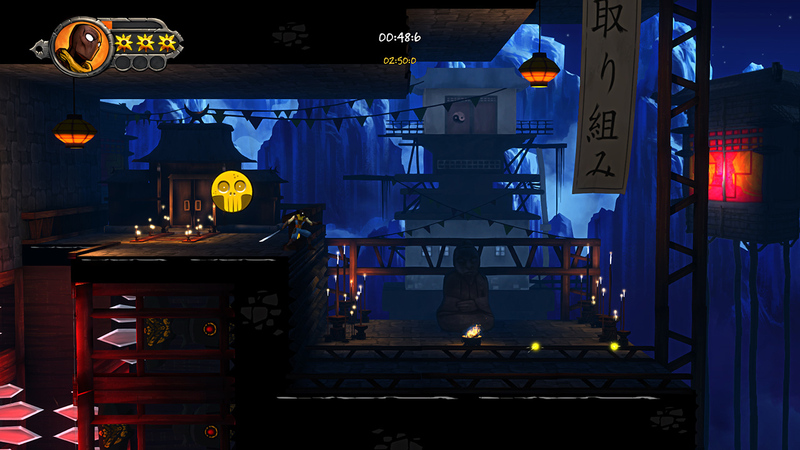 Of course, these levels aren't just leisurely romps that our hero Kuro can simply stroll through without any danger. No, there are obstacles, hazards, and enemies aplenty for our ninja hero to overcome and conquer. A master ninja (not to be confused with that OTHER master ninja) needs to use the environment to his advantage, and Kuro understands this well. 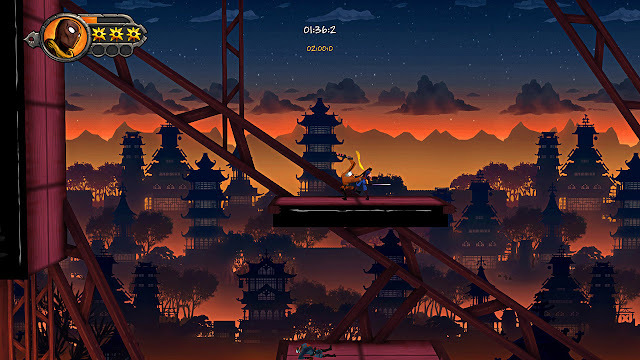 From jumping off walls, sliding down walls (which can be performed quickly or slowly depending on which direction the analog stick or D-Pad is held), throwing shurikens from his slowly replenishing supply, dashing through weakened walls, and double jumping are all marks of this ninja. Kuro will need all those skills, as levels feature copious amounts of hazards to dodge and narrowly avoid. There are spike traps, lasers, shooting kunai and daggers, moving platforms, crumbling ceilings, and more to deftly defy death by evading. Still, even if you do wind up on the cutting room floor (literally), checkpoints are generous and seldom require repeating too much of a section of level. find yourself repeating long portions of level. Each level contains two primary forms of optional collectibles to nab, but if you want to achieve the highest ranking in each level, these become mandatory to find. There are yellow spirits that not only are collectibles, but they serve as Shadow Blade: Reload's means to guide the player on where to go, sort of similar to the coins in Super Mario Bros. or the bananas in Donkey Kong Country. The other collectible, of which there are three per level, are green glowing Kanji. These are generally precariously placed in dangerous, hazard-filled areas or hidden off the beaten path. Getting 100% collection completion in a level earns players 4,000 points, and when most "S" ranks need at a minimum 6,000 or 7,000 points to achieve, it's a sizable sum of points. Those yellow spirits are like the North Star, they'll guide you home... or at least to the level's goal. Players of Shadow Blade: Reload are also scored by how quickly they complete a level, how many enemies they defeated, and by how many deaths that occurred. Performing a flawless run earns a hefty 1,000 point bonus, while every death results in 100 points subtracted form their score. It can be a lot of fun to speed through levels, collect all there is to find, and aim for a high score. Although there are no leaderboards, sadly, to be found. Heights are no match for a master ninja. Shadow Blade: Reload contains three difficulty modes to it--one of which unlocks after the initial game is beaten. 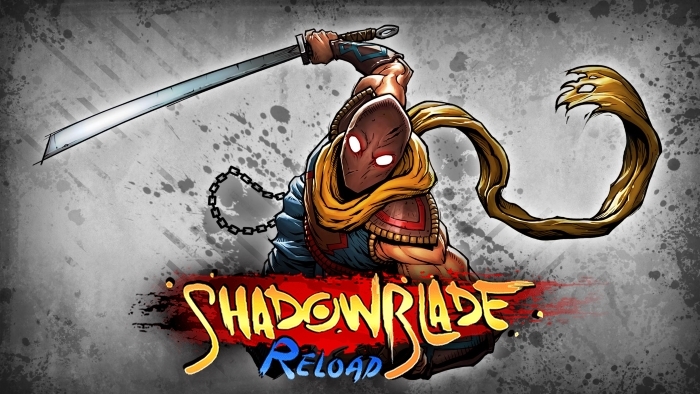 Unlike many games that might just boost the health of enemies, Shadow Blade: Reload alters enemy positions, adds hazards where they once were not, and makes for a genuinely enjoyable challenge when you're on higher difficulties. Under no false pretenses, Shadow Blade: Reload is a port of a mobile game through and through. But as we've seen in the past with many mobile-to-Switch ports, the Nintendo Switch is a pleasant place to play games such as this, due to its portability and of course analog controls. Shadow Blade: Reload offers great value with a wide array of levels spread out across seven areas with each area having at least five levels to it, responsive controls, minimal frustration to be found, and fast-paced gameplay to make for a mobile port that slices and dices well enough on the Switch.